Abstract: In this column Kerry examines and questions the amount of songs actually written by Michael Jackson for the release of bad. Are they all really recorded, or are they fragments and not yet finished songs; a discussion worth looking into. Hennigan, Kerry. 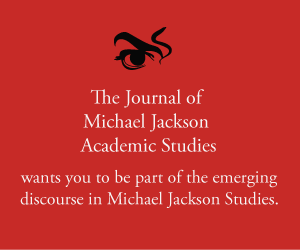 “MJ Studies Today XXV (14-01-2018).” The Journal of Michael Jackson Academic Studies 5, no. 2 (2018). http://michaeljacksonstudies.org/mj-studies-today-xxv/. The recent thirtieth anniversary of Michael Jackson’s album “Bad”, first released in 1987, gave rise to some interesting activity on social media when fans took up the old story of the large number of songs said to have originally been considered for the album. In particular, the often-quoted figure of “more than 60 songs” (or 62, as per Joe Vogel, referencing Rolling Stone)  supposedly penned by Michael for the project, has prompted claims by some fans (and a few conspiracy buffs) that we are being denied the opportunity to hear a lot of completed tracks from the “Bad” sessions and beyond. Because of the coverage it has received, and the many articles written about it, “Bad” provides a good test case for evaluating some of the material published about Jackson’s work and examining how some stories have evolved, and in some cases become distorted, since his passing. “Generate” doesn’t necessarily translate to “recorded”. This subtle but critical difference illustrates why it’s vital to track down supposedly “well known facts” to a primary source, if possible, or at the very least, the earliest available (credible) source. Back in 2001 the Special Edition of “Bad” was released on CD, and in addition to three bonus songs, it contained an interview with Quincy Jones (Track 12: “Voice-Over Intro/Quincy Jones Interview #1) in which the producer says that Michael had written 33 songs by the time they came to decide what to put on the album. My guess is that by this stage of the project, the songs he refers to were actual demos. In the lead-up to the release of the “Bad 25” anniversary album in 2012, Joe Vogel wrote that in the previous couple of years, under the direction of the Michael Jackson Estate, a team had been carefully archiving and digitizing unreleased demos from the “Bad” sessions. Andy also reminds us that not all the songs originally considered for “Bad” were Michael Jackson originals, either, with songs by Rod Temperton being worked on which were subsequently abandoned in preference for those written by Michael himself. What are we to conclude, then about the number and condition of unreleased songs from the “Bad” sessions? Andy suggests there may be a few more that would be of a similar standard of completion as the demos released on “Bad 25”, and many more that aren’t. Irrespective of the actual figures for any given album, some of Michael’s song ideas for one album have ended up on a later one, i.e. “Bad”-era songs being completed for the “Dangerous” or “HIStory” album, for example, and so on. Some demos have been released on “The Ultimate Collection” (2004), and some on anniversary and Special Edition releases, and some on the posthumous albums. As to how many remain that are in a releasable condition – I wish I knew. I’m one of the fans who would love to hear them! Brice Najar (translated by Laetitia Latouche) “Let’s Make HIStory” CreateSpace Independent Publishing Platform, 2016. Andy Healy of http://www.mj101series.com/bad30 in a personal email to the author.